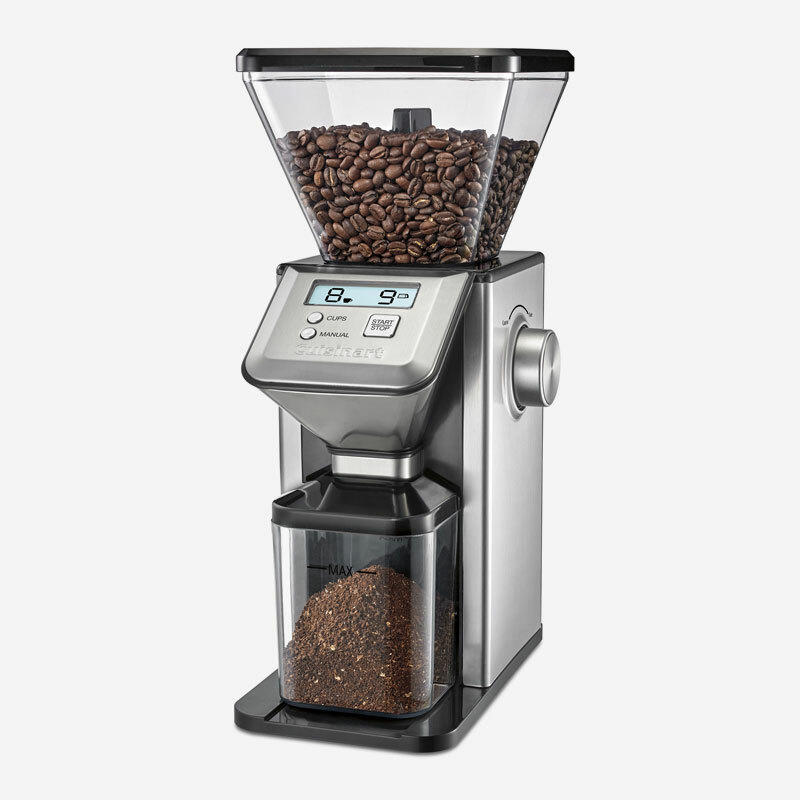 Elevate your coffee experience with our barista-quality Deluxe Grind Conical Burr Mill. Boasting Cuisinart design, the Burr Mill produces superior results, preserving the natural flavours and oils of your coffee during all 18 grind settings from ultra fine for espresso to extra coarse for French Press. Our advanced engineering ensures a cooler, quiet, low static grind of up to 14 cups of coffee beans into the container or directly into a permanent, paper, or portafilter for ultimate convenience. The removable 1lb bean hopper remains tightly sealed to maintain freshness. 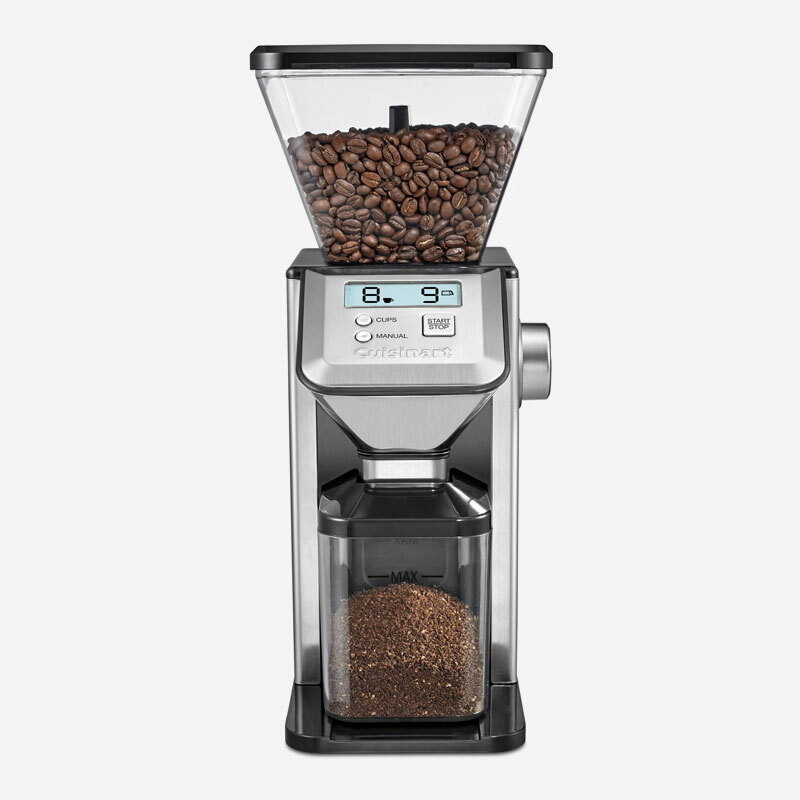 The Deluxe Grind Conical Burr Mill meets the high standards set by the Specialty Coffee Association of America (SCAA) and the European Coffee Brewing Centre (ECBC). 8.70" x 6.50" x 14.00"
10.30" x 8.20" x 16.90"